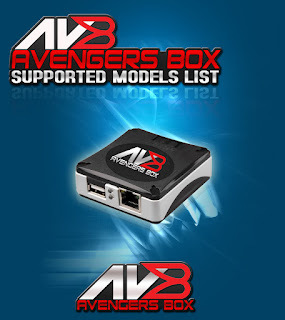 Avengers Box Android MTK Module v0.5.8 Setup File. Firmware/Userdata Reset/Read Info/Backup & Restore security. 1# To unlock this phones need to download from support database file for selected model. 2# After need to select model in exe(very important) and perform read simlock info or direct unlock. 3# Download Avengers Box Android MTK Module v0.5.8 Setup. Reset/Read Info/Backup & Restore security. 1# After need to select model in exe (very important) and perform read simlock info or direct unlock.